The Social Network is a place to share information about dealing with everyday life . the rapid development of social networks today, is a great opportunity for people to use it as a settled some effort and develop their business . Do not be surprised if today many contents or status in social networks is a promotion in a variety of ways, such as products , health , beauty and more. And of course, this is a great opportunity for Bloggers who want to succeed . One social network that is currently popular is Google plus . 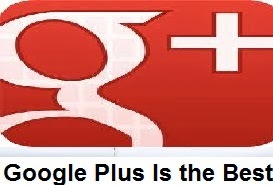 Google Plus is a social network that currently has reached hundreds of millions of users . therefore , it was a great opportunity for bloggers to improve and achieve success through blog's they manage . For increase traffic and develop a business or a variety of information , it is very important for bloggers to increase friendship in Google plus , because more and more of our friends google plus , the greater the chances of success for achieving success .